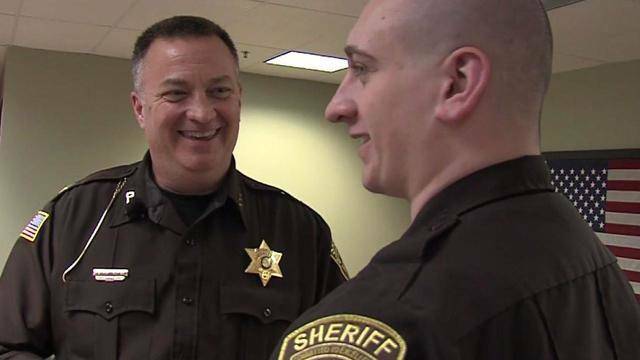 Wounded Times: Sheriff saved letters while deployed--one from his deputy! Sheriff saved letters while deployed--one from his deputy! "We received these letters from these young kids. I held on to all of them," said Johnson, who is now the sheriff of Ozaukee County in his home state. "Dear soldiers. Thank you for what you all do and are doing for our country. Best wishes and have a Merry Christmas. From Chris Uselding." Fast-forward to 2018 and Chris Uselding is a grown man. And he's been working for as deputy for Johnson for the past few years.